BROADWAY: Rock ‘n’ Roll (Bernard B. Jacobs); Arcadia (Vivian Beaumont). OFF-BROADWAY: Giant (Public); The Tribute Artist; Harrison, Texas; Motherhood Out Loud, Happy Now? 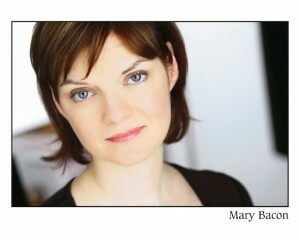 (Primary Stages); Becky Shaw (Second Stage); The Madras House (The Mint). REGIONAL: Crimes of the Heart (McCarter); Children (Westport and Williamstown); Happy Now? (Yale Rep.); Misalliance (Old Globe); Hazard County (Humana Festival); Stephen Wadsworth’s adaptation/direction of Don Juan (world premiere, Seattle Rep.) and others. FILM/TELEVISION: Mildred Pierce (HBO); The Good Wife; Alexander Hamilton; Jonny Zero; Law & Order; Law & Order: Criminal Intent, Law & Order: Special Victims Unit; The Gaveltons. Carnegie Mellon BFA.